New version of the company's software aims to make it easier for acute care providers to order up virtual consults. American Well launched new telehealth technology on Tuesday dubbed AW11 at the American Telemedicine Association Annual Conference and Expo. The new version comes one day after American Well announced its acquisition of Avizia, with plans to broaden its offerings in the acute care space, with new software workflows for some 40 clinical specialties, including telestroke and tele-behavioral health. Now, with the release of AW11, American Well said it's making another move for hospitals to offer remote consults, with a redesigned user interface, and more telemedicine capabilities designed for inpatient settings. Most notably, the new software offers a direct embed option to integrate telehealth visits directly into hospitals' electronic health records, enabling physicians to continue their clinical documenting without disrupting their workflow. 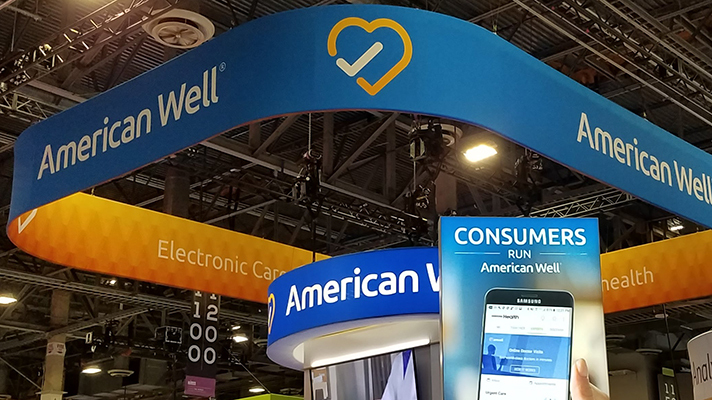 The new app has a more appealing and intuitive visual design, according to American Well, and offers automated enrollment help providers more easily use the technology. It also offers what the company calls a "global home" feature gives physicians a way to see patients from across different practices, exchanging services system to system. Schoenberg said that, as telehealth continues its evolution "from an urgent care consumer app to an ecosystem where clinical services are distributed digitally, deep assimilation into the provider day-to-day reality, supporting systems and practicing lifestyle becomes pivotal for adoption and growth."